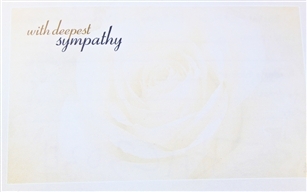 This sympathy card has an tan/beige background with a rose lightly shaded into the background. 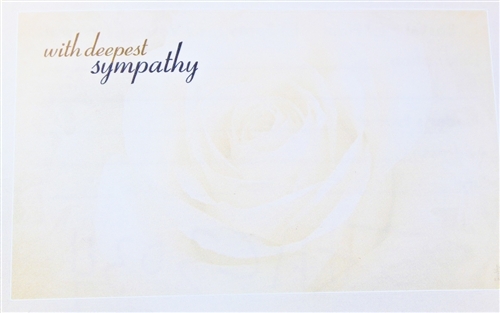 The text reads "With Deepest Sympathy" in top left of the card. This item has room to personalize.